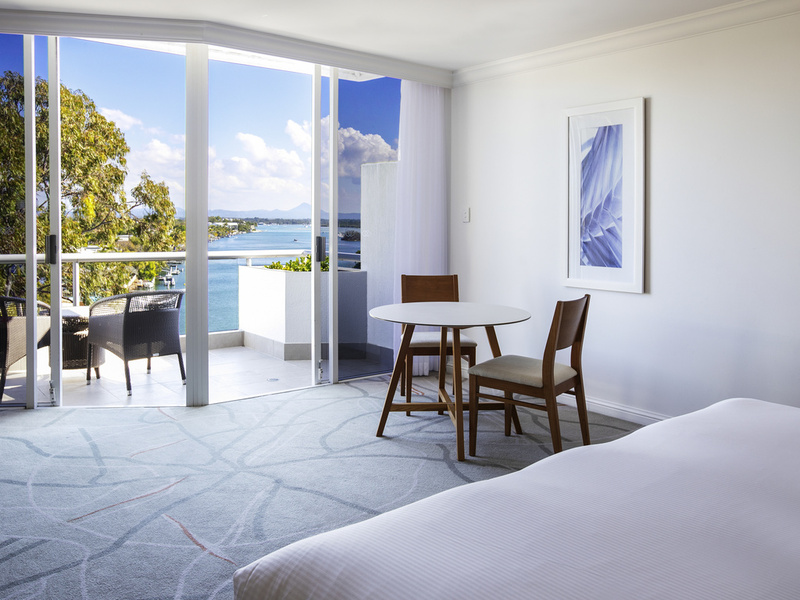 I look forward to personally welcoming you to this very special place and sharing the natural beauty and essence of Noosa - mark.wilkinson@sofitel.com or (0)408 159 021. Located in the heart of Hastings Street, Sofitel Noosa Pacific Resort is the only 5-star hotel in Noosa. It offers 176 studios, suites and villas. Discover a world of shopping and dining experiences, indulge in our Spa or visit Noosa's pristine beaches. Explore this beautiful part of the Sunshine Coast and feel welcome in our Noosa accommodation. Whether it's a short or long stay, all guests will experience the absolute finest in luxury accommodation when staying in the best located Noosa hotel. Experience relaxed coastal dining in a stylishly chic setting. Evolving from a sunny daytime venue in to a sophisticated dining experience in the evening, enjoy acclaimed chef and restaurateur Peter Kuruvita's passion for creative cuisine . After a day at the beach enjoy a glass of wine, favourite cocktail or a bite to eat from the global all day dining menu. With floor to ceiling windows opening to Hastings Street, sit back, relax in a comfortable lounge and watch the world go by. Take a dip in our lagoon style pool, unwind in the nearby spa then choose from a selection of light snacks and beverages either delivered to you poolside or served at our swim up bar. Choose something light and fresh or opt for something more substantial. With spectacular views over Noosa River, indulge in authentic local dishes offering a sumptuous selection of epicurean delights and enjoy a mix of classic blended cocktails, globally sourced wine, whiskys and gins, and of course the finest of champagne.